In an addition that I’m surprised anyone would have asked for, the free version of Solitaire that comes with Windows 10 is getting a leveling system. The new feature was announced in a weirdly good trailer earlier this month. Quite what that system will actually look like when it manifests isn’t clear, but the trailer’s Microsoft Studios employee in the trailer says that it’s “catered to people who just want to track their progress and be rewarded for playing any game in Solitaire.” For the record, that includes Classic Solitaire, its spidery variant, Freecell, and then two games called Pyramid and TriPeaks, which I assume are related, but which I have never heard of in my life. I’ve no idea what the rewards on offer will be. In the course of poking around the Solitaire Collection app, however, I’ve learned that there’s an ongoing events calendar for all five of the games included within it, as well as daily challenges, suggesting that Solitaire is much more of a games-as-service than I previously thought. 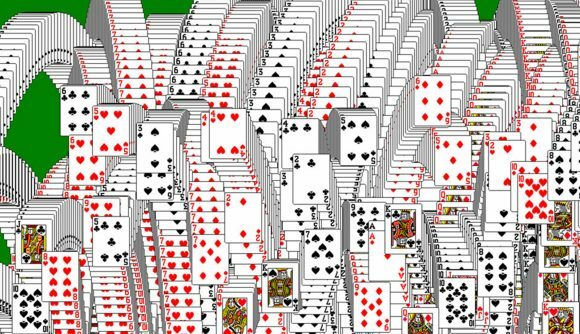 This is all well and good, of course, but we all know that Solitaire is not the best free game offered by Microsoft. Come back to me when they add a leveling system to Space Cadet 3D Pinball. Actually, just come back to me when they add that back to Windows 10.